Kodachrome transparency by Alfred Palmer. July 1942. 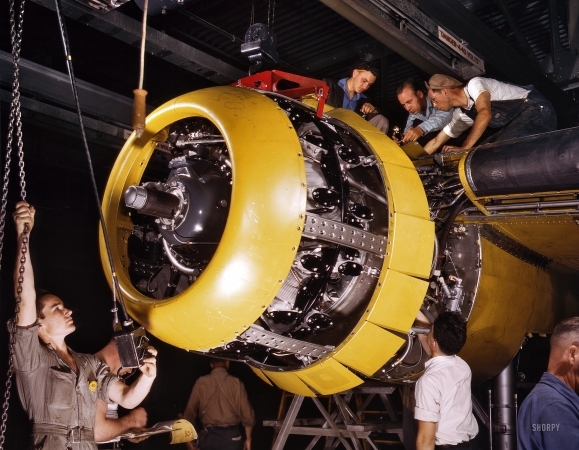 "Mounting 1700-horsepower Wright Whirlwind engine to a B-25 bomber. Fairfax bomber plant, Kansas City."